There is no such thing as a stress-free divorce. Transitioning from one phase of life to the next necessarily results in certain stresses. However, it is possible to have a “less-stress” divorce. With the aid of an experienced Concord, California divorce lawyer, you may be able to navigate a divorce process that is far less stressful than you anticipated it might be. 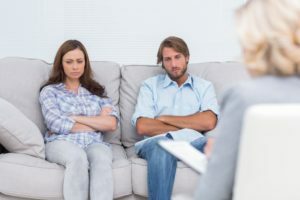 The primary way in which couples can ensure that their divorce process is less-stress is to commit to a less-contentious process. This is not always possible. There are times when fundamental disagreements between spouses (over matters like property division and child custody) are so significant that a judge must ultimately “weigh in” in order to settle the dispute. But when possible and practical, approaching a divorce process through mediation and/or attorney-led negotiation can allow couples to focus more on resolving their differences than on gearing up for a fight. With that said, an experienced Concord, CA divorce lawyer can assist you in minimizing your divorce-related stress regardless of whether you can or cannot avoid a truly contentious divorce process. Once you and your attorney communicate about your financial situation and your unique circumstances, you can work together to construct a focused and efficient approach to your divorce process. Few things are more frustration-inducing than having to weather unnecessary delays. In addition, your Concord, CA divorce lawyer will be able to explain to you both any benefits and any drawbacks associated with specific property division agreement terms. The process of dividing one’s marital property can be uniquely stressful. Suddenly losing access to half of everything you acquired during the months or years of your marriage can be an intimidating prospect. But there are many ways that an intelligent, future-focused approach to property division can help to ensure that as many of your worries and concerns are addressed and ultimately mitigated as possible. Finally, if you have minor children, there is really no question that you worry about how your divorce will impact them. You and your Concord, CA divorce lawyer will work together to advocate for child custody agreement terms that reflect your child’s best interests. There is nothing that anyone can do to make your divorce completely stress-free. But with an experienced advocate by your side, you can truly have a divorce process that is less-stress. If you are interested in pursuing a less-stress divorce process, please consider scheduling a consultation with The Law Office of Ariel Brownell today. Once our team learns more about your specific situation, we will be able to advise you of your options and explore ways to keep high levels of stress away from the legal side of your divorce. An experienced Concord, CA divorce lawyer knows how to take on the “heavy lifting” in re: the legal aspects of divorce so that clients can focus on the emotional, physical and practical aspects of transitioning from married to single life.